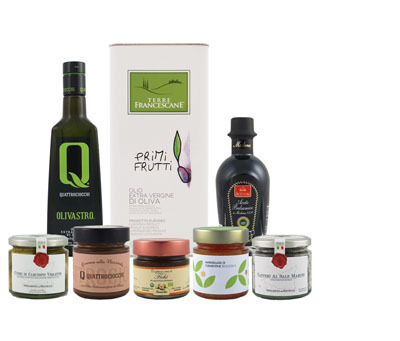 Subscribe to receive specially chosen bottles of extra virgin olive oil from our incredible selection every month. What oils do you send out? Each month we send a high-quality extra virgin olive oil from an internationally renowned producer. We do our best to vary the oil each month, whether it be by region or variety, so club members are always trying something new and different. We traveled the globe extensively seeking exceptional olive oils from renowned production regions such as Spain, Italy and Greece, as well as up and coming areas such as Portugal, California and Chile. How do I know the oils are extra virgin? Quality and authenticity is of the utmost importance to us. We have partnered exclusively with producers who apply only the strictest quality practices, from their groves to their mills to their bottling facility. No area along the process is compromised thus ensuring the resulting oil is of the finest quality and rich in flavor and aromas. How am I supposed to use oils? However you like! These oils are meant to be enjoyed to their fullest. You might just drizzle the oil over a piece of fresh baked bread, or your favorite soup or pasta, grilled fish or vegetables. Experiment with the natural flavors of the oil and have fun! Most months we send out a half-liter bottle of oil (around 17 oz) though on occasion we will sometimes send out a 750 ml. We will never send anything smaller than 500 ml. What plans do you offer? Do they renew? We have subscription plans for 3, 6 and 12 months. The longer the commitment the more you save. Subscription will not auto-renew regardless of which plan you choose. You will have to purchase another plan after your subscription expires if you wish to continue receiving oils. When will the box arrive? Within a few days of placing your order! Look out for an email with tracking details for your first shipment. Then you'll receive a new oil every 30 days until your plan expires. Do you offer bi-monthly or quarterly options? While we don't state it explicitly we can certainly accommodate deliveries that work with your schedule or consumption habits. Please email help@oliveoillovers.com with your order number and state the frequency you prefer. Each month, members receive one specially selected bottle from our curated collection of award winning products and producers, making the club an exciting way to experience the unique tastes of high quality extra virgin olive oil.